As great as it can be to have beautiful trees adorn your property, there are also times where it may be necessary for you to take action regarding the trees you have. Scenarios come up during property ownership and home ownership where you need to make important decisions to maintain the safety of your property or the look of your home, and there may be trees that need to come down to make all of this happen. It may not be an easy decision for you when you need to have trees taken down, but there can be several valid reasons why you may want to call us at Your Way Tree Service Inc. for professional tree removal in Hidden Hills. The most obvious reasons for tree removal are if you have a tree that is dead or severely damaged on your property. Dead and damaged trees can pose several risks to you, your family, your home and your property. It is often safety considerations that make people decide to have trees removed, and in situations like this, you want to be sure the tree is taken down as safely as possible to avoid any problems. Trees that are damaged and beyond saving need careful removal so that you are sure no one gets injured during the process. Proper removal can also help you to prepare the area properly for new growth or the planting of new trees. 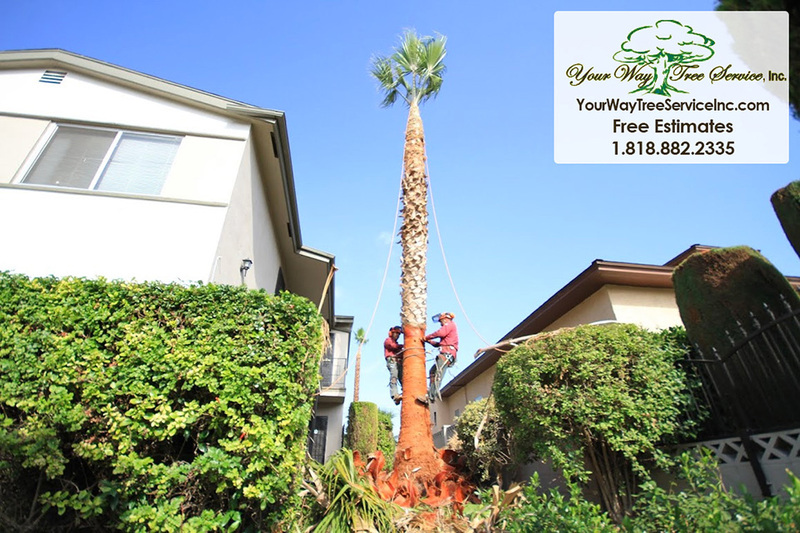 There are customers that contact us for tree removal in Hidden Hills that desire to have trees removed from certain parts of their property so that they can utilize the space for other reasons. It may be that you want to use that space to grow a garden or another type of agriculture and the tree in the area is too large to make it happen. We can come in and safely clear the areas that you want for your new planting or property renovation so that you know the trees and root system have been removed safely and the area is clear to use. If you have trees on your property that you need to be removed, contact us at Your Way Tree Service Inc. for the professional tree removal in Hidden Hills that you require. You can reach our office at 818-882-2335 and speak to a member of our staff that can set up an appointment for you so that we can come out and evaluate the situation and let you know what will be required to take the trees down safely.